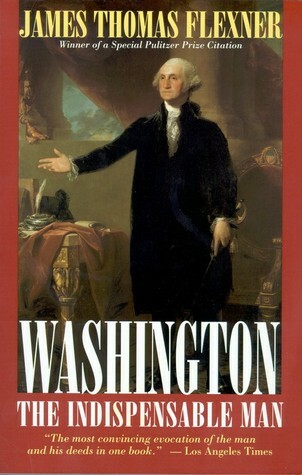 “Washington: The Indispensable Man” is the single-volume abridgment of James Thomas Flexner’s epic four-volume series on George Washington published between 1965 and 1972. Flexner wasted little time accommodating those who beseeched him to author a biography accessible to a wider audience, and as a result this single-volume work was published in 1974. It has been widely read and well-admired ever since. In his effort to downsize the much longer series into a one-volume account of Washington’s life, Flexner succeeded admirably. “Washington: The Indispensable Man” is an engaging, articulate and clear rendition of Washington’s life from his humble beginning in Westmoreland County, Virginia to his death at Mount Vernon in the final days of 1799. Flexner’s style of writing in this book is more consistently contemporary than in his earlier, longer series and this book proves eminently readable throughout.